Fall is my absolute favorite time of year! I love the cool days, leaves falling off trees and cozy nights snuggled under the covers. October just flew by this year, but there's still time to celebrate with an Oktoberfest themed meal! I'd love to visit Munich, Germany someday to attend Oktoberfest. I come from a pretty large German family. My grandparents and great grandparents spoke German more than English in their homes. I grew up eating tons of German inspired foods and I still love them to this day. Any time there was a potluck or family gathering, you'd always find either kielbasa and sauerkraut or pork chops and sauerkraut in a slow cooker somewhere. Those two meals were also served for dinner on a semi regular basis. Total German Minnesotan comfort food at it's finest! Since sausage and sauerkraut go so well together, I decided to try them in a soup. 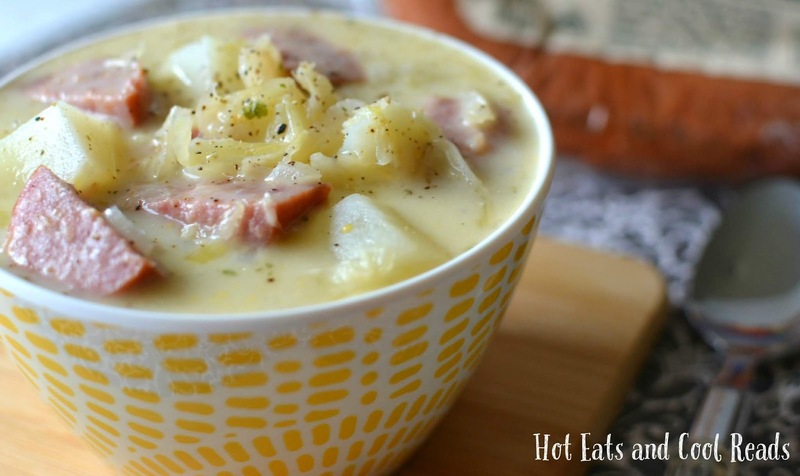 This Creamy Sausage, Potato and Sauerkraut Soup is absolutely fantastic and perfect for any fall or Oktoberfest meal! It's creamy and cheesy and I used Hillshire Farm® Polska Kielbasa along with the potatoes and sauerkraut in this soup. Since it's ready in less than 30 minutes, it's great for any weeknight meal or lunch. Hillshire Farm® Polska Kielbasa is so versatile. I love cooking it and serving with a couple sides, or it's also great sliced up and added to pasta bakes or one pot meals. I love that it's budget friendly, making it perfect for families and the flavor of the kielbasa is wonderful. I hope you enjoy this recipe for Oktoberfest or for a weeknight meal! The ingredients are so unique, but the flavors are out of this world! In a large saucepan, melt butter over medium heat. Add onions and saute for about five minutes, until tender. Add flour, stirring until completely combined. Cook for one minute, then add the chicken broth and milk. Turn heat to medium high, then cook stirring often until broth begins to thicken. 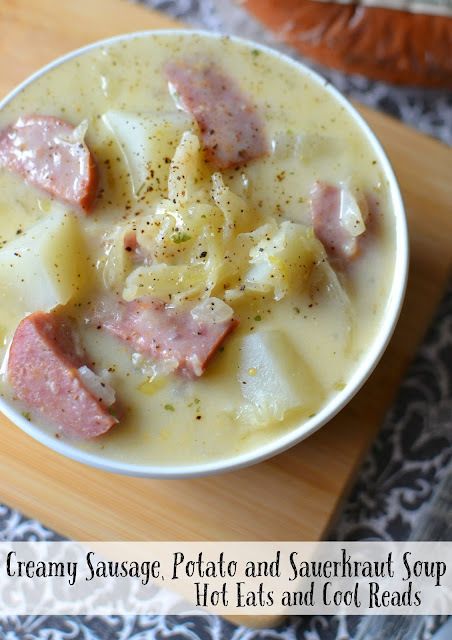 Reduce heat to medium then add Hillshire Farm® Polska Kielbasa, diced potatoes, sauerkraut and parsley. Simmer for five minutes, then add shredded cheddar. Stir to combine and remove from heat. Serve sprinkled with black pepper. 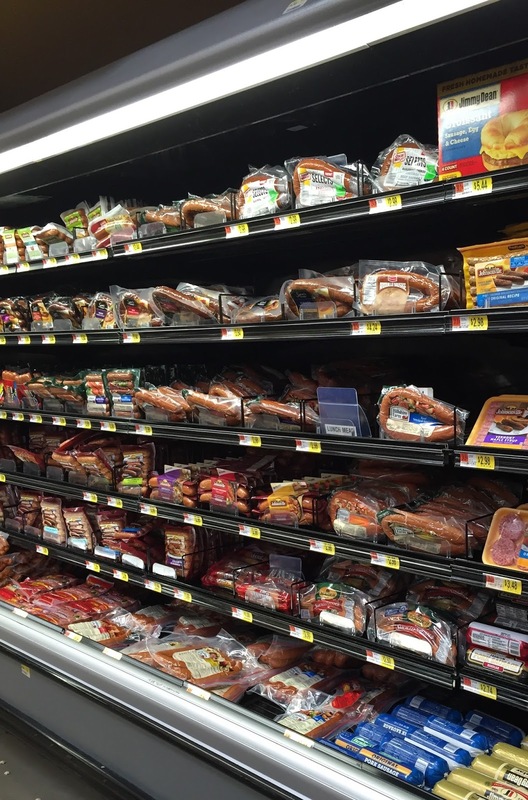 I found Hillshire Farm® Polska Kielbasa in the meat section at my local Walmart! The next time you're out shopping for groceries, check it out and give it a try! Does your family celebrate Oktoberfest? Do you have any favorite Oktoberfest themed meals? Stop by the Hillshire Farms Pinterest page for more Kielbasa recipe inspiration! I would not have thought to add sauerkraut to soup but I beat the tang it gives is fabulous. This sounds so good right now. The rainy weather makes me crave hearty soups like this! I'm not a fan of sauerkraut, but the other ingredients in this make it looks fantastic! 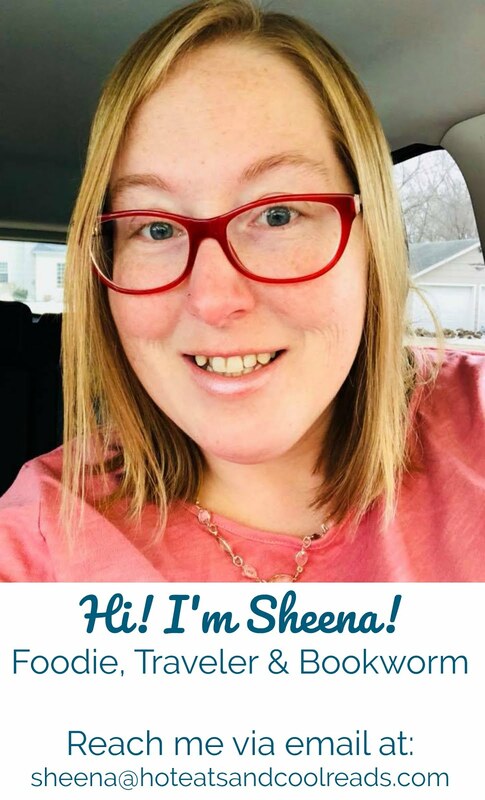 Great recipe Sheena! I do this in the crock pot! Sounds delicious and very comforting! This is AMAZING!!! I tripled the recipe and put two jars of sauerkraut in it! PERFECT!!! Was thinking next time serving toasted rye bread or rye rolls! This sounds like a very good soup for cold weather and reminds me of some of the foods I grew up with in Germany a long time ago. The only addition I will make is caraway seeds which is very common in Bavaria for all cabbage-like foods. It gives it a true authentic flavor. The addition of cheese is new to me but sounds good. "Unknown" serves the soup with Rye bread or rolls which is a great idea! I'll have to try it with caraway seeds next time! Thanks so much for the suggestion! I made it the other night and it was delicious. I would chop the sauerkraut next time so it's not as stringy. I did also add 1/2 cup of extra cheese. The addition of caraway seeds sounds good,I may try those next time. All in all a good soup...it's a keeper. I assume you do not drain the sauerkraut. I turned this into a vegetarian/vegan version and I am making this tonight! Enjoy! It would be great that way too! This was fabulous! I really enjoyed it. I added about a teaspoon of Dijon mustard to the soup for a little punch and then topped each bowl with rye bread croutons - delicious! Do you drain the sauerkraut? I did not, but the sauerkraut I used didn't have much liquid. so good and so easy! Great! Adapted this recipe to my electric pressure cooker! Super good! As my family says “It’s a do over”! I'm so glad you liked it! Thanks for giving it a try!